The last 12 months have seen a rebalancing of power in scholarly publishing. Despite the slow rate of change within the industry, there have been two significant changes in the last year: the growing recognition of the importance of Policymakers’ scholarly publishing policies and Measuring impact. While publishers continue to hold a monopoly on content, researchers and librarians concerned about the abuse of positions of power have been boosted by two events: the stand against price rises in Germany and Sweden, and the publication of Plan S.
The increased importance of the challenge of measuring impact is also noteworthy because metrics play such a pivotal role in the evaluation and career progression of researchers. This independent 64-page report has been commissioned by Research Information, which works equally with all the stakeholders in scholarly publishing. The report analyses responses and data gathered by a survey of around 200 publishers, librarians and academic researchers, augmented by 13 in-depth interviews with leading names in all three sectors. 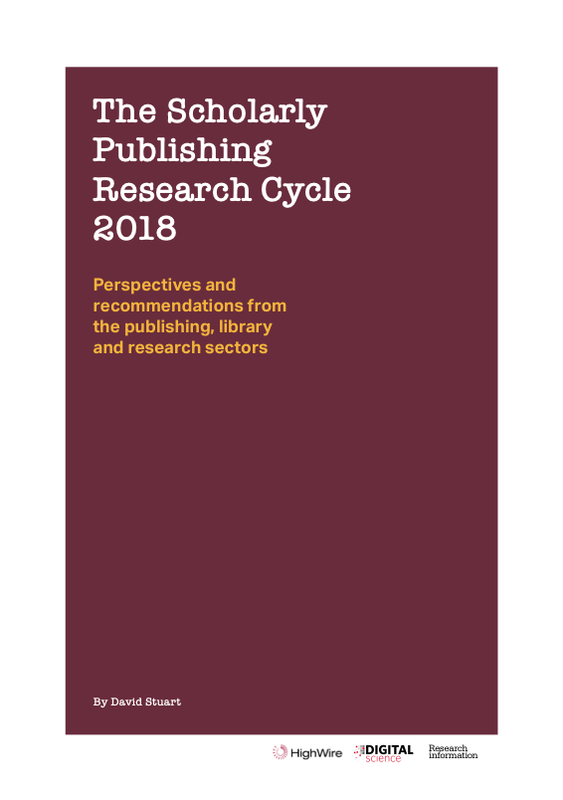 The report was launched in December 2018 at Challenges in the Scholarly Publishing Cycle, a one-day industry event organised by Research Information in London. The author of the report, David Stuart, is an independent informational professional, a former research fellow at King’s College London and an honorary research fellow at the University of Wolverhampton.